This may sound a silly question, but I have only ever owned a crop sensor Pentax, can I use my current lenses on the K1? BTW, here in section 7: https://www.dpreview.com/reviews/pentax-k-1/7, if you plug-in 'D850' or 'a7Riii' as a comparison to K-1, under section 'Raw DR: Exposure Latitude', you might be pleasantly surprised! K-1 samples are so good! In the old days we needed no stinking leds, all lenses had a dot , easily located by touch, for aligning with the release button on the body! Half of the equation is the lens. Looking at the files, the K-1 was shot with a FA 77 mm 1.8 limited, the Nikon with a 85mm 1.4G, and the Sony with a FE 55mm 1.8 ZA, all at f/5.6. Does the DPR have any information about the degree to which the "star eater" firmware upgrade on Sony's camera sensors has affected the K1 (and other cameras, such as most of Nikon's offerings) that make use of Sony sensors? I understand that this is a major problem for the astrophotographers who had come to rely on Sony sensors for their work... and I imagine those who use the K1 for such work would also have a thing or two to say about this, if they found that they, too, were afflicted by "star eater" problems akin to those affecting Sony users. It's a side-effect of Sony's camera software, not anything happening at the sensor level. Thank you for taking the time to respond. I do hope that Sony tackles its "star eater" firmware issue and that Pentax continues to eschew (?) any "upgrades" that end up doing the same damage to the functionality of their cameras. Given Pentax's long history of considering the needs of astrophotographers, you should be pretty safe. Because it can't photograph anything that moves faster than a snail? It could definitely capture you though. Some people have higher standards than others for what's considered "in focus". This review was way too pre-mature.. Many new 3rd party lenses specially in the SIGMA ART series fast lens zooms and primes that now work with this camera and oh boy what a camera it is.. The reviewer really cheated the users from one of the greatest opportunities to come so close to MF quality at a 10th of the price. Hmm. I think it's pretty fair to the K-1. So fair I went out and bought one after reading it last year. Agreed that this camera rewards nice lenses - there are plenty from Pentax to choose from, and everyone loves those Sigmas. Nice inexpensive camera, almost as in the good old times of the Pentax LX. There are not many full frame AF lenses, but I still have a bunch of manual full frame lenses that I used with the LX. Any experiences with these older "A" lenses ? There are many of the fast primes and long teles that are currently missing. I have a complete set of all the single focal length 1975-1976 "K" lenses. 15 to 300mm. All are excellent, a few are exceptional. Two "A" lenses...15mm f/3.5 A and 200mm f/4 macro ED A*...the macro is the best macro ever made...if you can get your hands on one. All these lenses gave excellent results on the istD, K10D and K70....and the images have character...not the glossy magazine look of modern lenses. I can't wait to try them on the K-01 which is coming. Like you I have the 15mm and find it great. Unfortunately I don't have a macro, and I have never seen a used 200mm macro. They were probably not sold too often. It sounds also great. So you expect the old manual lenses will work flawlessly on the K1 ?! Thanks for your response. They will all work perfectly...and the Pentax focus beep makes critical focus a snap. I never miss with them on my istD or my MZ-S. Exceptional are the 50mm f/4 macro, 28mm f/2, 85mm f/1.8, 135mm f/2.5, 100mm f/4 macro, 35mm f/2...but they are all excellent as you have seen with the 15mm. They won't work in program or shutter priority....but aperture priority is the most useful anyway. 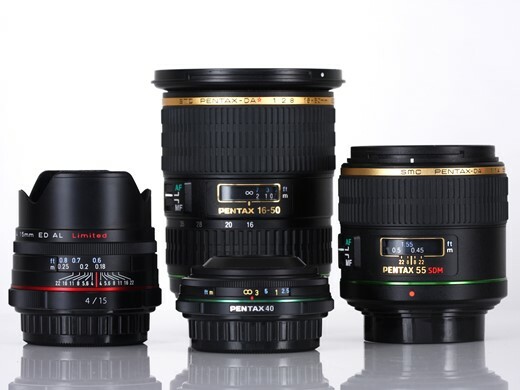 Some of the above focal length/aperture lenses are also available in M and A lenses but they are not the same. I was always careful to collect only the original K's except for the 200 macro which was only available in A*. The A*'s are all awesome but expensive and hard to find. The older the lenses the more limitations in usage. However all are usable. My SMC-A 50 1.7 has no autofocus but gives good results. The SMC-M 100 2.8 has manual focus and manual diafragma and gives also good results on the K-1. The K1 is the Full Frame bargain of confusion price wise. $1799 when introduced, then almost $2000 a short time later, now on Amazon at $1820. Confusing yes. Bargain still? Yes as well. Larger demand than expected + lower supply (Sony's factory hit by earthquake) = potential to raise the price. I just bought one with the 24mm -70mm f2.8. I used yesterday on a job alongside my 1DX mkI. Somewhat impressed, the only fault being when I filled the buffer up it took time to clear. I am pricing up trading in my Canon gear to get a second K1 body (might even get two more) plus the other two recent zooms. The 24-70mm at 24mm performs as well as my 24mm f1.4 mkII Canon L. When I look at what my 1Ds and X cameras are worth now, these Pentax make a lot of sense. I can't fault the construction or picture quality comparing with other products at any price point. I have it set up so I can pick it upand use without needing to search menu's. Well done Pentax, great camera and the 24 - 70 is looking like being a knock out, f2.8 and stabilised by the body 5 axis, Canon have nothing to compete. Not a sports camera but half the price of a 5DIV and better spec for my needs, your needs may differ of course. Today is Thanksgiving in the US. 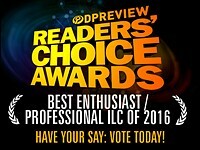 I like to thank DP review staff for their awesome job. There are so many interesting things coming up and you guys work tirelessly to tinker what works best for most of us. Thank you. Thank you Ricoh for the K1. It is a machine one have waited since the turn of the century. It comes with a lengthy innovative feature set and a price point that is affordable and after the company changing multiple hands. On the note of innovation, I was wondering if the cam itself becoming more of a post processing tool, rather than relying on ACR or etc. Since you guys know how best to interpret the image taken with the cam and the CPU, memory, & disk are already in the package along with sophisticated image processing algorithm. The idea is de-coupling of your RAW from a 3rd party software on a desktop platform. The NEG file will be kept, a photographer , however, doesn't have to wait on Adobe and etc to get their driver correct to process the file. change sharpening and noise reduction. change perspective and lens correction. add graduated ND filters of different level of brightness. I can't do as much portrait work w/ the cam dials; but, I think once this brave new movement has started, there will be unlimited talents sprarking new ideas. I think that DP needs to also tell in their reviews some other features like the User modes, their convenience, how easy is to program them, which parameters are saved and the sort. Not all cameras are created equal. The User modes in Canon are by far better than the User modes in Nikon, and this frustrates me. I abandoned both Canon and Nikon systems because of this feature and because the lenses. Canon AF EOS lenses do not have mechanical control of the aperture but the cameras have a good User mode system. Many Nikon AF lenses have mechanical control of the aperture but their User mode is bad, it erases each time you put the camera off. Apparently with the K-1, the user modes are like Canon's, but we have the advantage of using lens adapters for Nikon AF lenses in the Pentax body. That is how I cancel the negative point of Pentax not having enough lens support. And the IS works with ALL lenses from ALL brands, another plus that for me is more important than anything else. 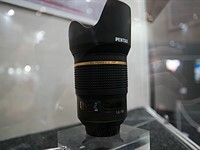 Well for me This new FF Pentax is what I have been waiting for. I am using a Pentax K100D with 6 mp resolution and what I am getting for my own use is more than enough for me. But being able to use all myold Nikon and Pentax lenses in this camera is a dream. I do not care about the sharpness I lose by using older lenses, why I care most is the light, exposure, theme and composition. And with a camera that is able to give me good exposures at a so low light level is good for me. And for the sports I am doing, anything above 3.5 frames/sec is enough. What I do mostly is still photography, travel, night photography, some portraits. The sport I practice is professional Table Tennis, and for that I prefer a high speed video camera to obtain the full motion, not specific frames. I use film for serious photography a Yashica TL- super (1969), and Nikon and Pentax lens adapters for it. A Nikon F2 and a Pentax LX as back-ups. The meter is a Sekonic 21b Selenium meter when needed. 50% missed shots in SAF, if I'm reading that correctly, is pretty dire. I'm also not a fan of the LCD design - seems like a more traditional tilt or articulated LCD would be better. Lens selection is another problem area. Yes, you can use some great older lenses, but they're not weather sealed and an unsealed lens means the camera is not sealed either. Otherwise, this camera is pretty remarkable, and the sensor is among the best. If Pentax can do a mark II model that addresses its weaknesses, it could steal users away from other systems. But in its current form, I think it's customer base will be limited to still life, portrait and landscape shooters. for the future dslr, Is it possible to create an Interchangeable right angle loupe styled high res EVF which rotates pretty much rotates 180 degrees up/down left/right and sport a 2x or 100% magnification? may be creating an universal ones to fit multiple cameras? Electronic pins will be on both sides, weather sealed. I bought my K1 and it feels like i had it my entire life. It is very easy to use and im very happy with the results. I also bought Porst 55 mm f 1.2 with k mount but when i mount it on the K1 cant change dhe f stops. It stays wilde opean. Also the shake reduction is turnd off. Do you know why it happens? The K-1's sensor was measured by DxOMark. They call it a "Full-frame marvel" and it currently sits at 4th position in the overall ranking, beating cameras costing almost twice as much. In all measurements the K-1 beats the D800 and even D810 at the same ISO setting. Only because the D810 has a lower ISO setting (64 rather than 100), it receives a higher dynamic range score. A (real) lower ISO setting is of course a legitimate advantage (the Pentax K-5(II) put a lot of APS-C competitors behind it with its ISO 80 setting), but it is still impressive what Pentax manages to get out of that sensor for the supported ISO range. The K-1 is even very close in performance to the leading Sony models with their high-end 42MP sensor. Another testimony to the fact that the Pentax engineers did a marvellous job! It beats the D800 D810 5D MK IV at low light high iso, yet dpreview scores all those camera's higher. Rishi explain why you know better than dxo. Because sensor scores are not the entire picture. A camera is the sum of its parts and that includes the lens as well. There may be some inherent bias that the reviewer is unaware of as well. You should use the camera you like the most and ignore what reviewers think of it. How you feel is the most important part. When people ask me what camera to buy I generally tell them they should get the one that fits best in their hand. That's the important part. Thankfully pentax cameras fit really great in my hands. You can't just invoke Rishi. He wasn't one of the primary reviewers of this camera and it's DPReview's score, not any one individual's. Looking at the Raw image quality scores, it seems the K-1 scores higher than the 5D IV and a fraction below the D810. I'm not clear how that's inconsisten with what DxO has said. The K-1 got a good score and I think the review makes clear that its image quality, especially in Raw, is excellent. You might want to understand what the sports score on DxO is and how it related to photography. How does the ranking of 3rd on DxO contradict DP ? Because I see DPR's low light high/iso slider as similar to DXO's sports score. Also it is obvious in the comparison tool. I was one of the primary reviewers of the camera and it received very high marks for DR and image quality. You can't just look at that fact alone, though. As a whole, the camera was lacking in other areas such as video and the autofocus (beating a dead horse here) didn't perform as well as we have come to expect from a DSLR of this caliber. Also if you look carefully at the DxO numbers the K-1 still falls behind the D810 and the Sony a7r ii. We aren't biased. This review was done in an objective and completely honest manner. If you look carefully at the DxOMark measurements for SNR 18%, you'll see that the K-1 beats the D810 at any ISO value that both cover. Yet you score the "low light / high ISO" performance of the D810 higher. Are you perhaps taking the manufacturer provided ISO values without adjusting them first? You'll note that the K-1 uses ISO values that are very close to actual measured ISO whereas the D810 and A7R II use higher figures for what amounts to actually less "sensitivity". If you simply compare cameras at the same ISO values then the one "cheating" will look better in "low-light / high ISO" tests. I'm writing "cheating" in quotation marks because a manufacturer is free to use whatever ISO measurements they want. That's fine (although I argue true values are better for the photographer), but once you start comparing cameras, you must not rely on their ISO figures. regarding video I think you should have two separate scores and allow a camera recommendation be made without its video performance coming into play. Using a stills camera for video is as ergonomically inadequate as using a video camera for stills. You can do it, but it is a pain. I'm not arguing against the inclusion of some video features for DSLRs, but most still photographers won't use it and very few will use it to an extent where a very close examination of the features matters. While we are on the subject of ergonomics, I wonder how you determine that the D810 has better ergonomics and handling. Although the K-1 is often referred to as a "twin-dial" camera in your review it actually has three dials for making shooting related adjustments. Even without the third dial, for someone used to the way the K-1 operates, I argue it is at least as ergonomic as the D810. If it is hard to objectively measure such aspects, wouldn't it be better to user broader categories? @Chris M Williams: Are you going to reply to my concrete questions regarding the unexplained differences to DxOMark measurements? I don't expect immediate responses but somehow I doubt anyone from DPReview will revisit this comment. It would be nice if DPReview staff not only responded to aggressive posts but also to concrete technical questions. Not that you don't respond to technical questions in general, but I've been unlucky with getting responses to my posts. Class A, I think the low light performance, apart from noise, strains the deficiencies mentioned in the review for the AF as compared to the models you mentioned. That's probably your answer. Chris Williams appeared to be addressing the initial question posted by "Favorable Exponynt", which also indirectly addresses your question. Class A: DxO only measures Raw performance, whereas our low light/high ISO score covers both Raw and JPEG, so two cameras with the same Raw IQ can still end up getting different scores in the low light/high ISO category. Secondly, DxO's labelling of saturation-derived ISO as 'measured' ISO is potentially misleading. It's not the case that DxO states the 'correct' ISO or the ISO figure you'd get if you tested them properly. They state the figure you get if you test them in a completely different (Raw-based) manner. DxO's 'measured' vs 'manufacturer ISO' graph gives an insight into the highlight headroom/shadow noise balance being struck by each camera's metering and JPEG systems. It's not especially relevant to this discussion. As named authors on these pieces we get a single notification for all comments posted on our articles, we don't necessarily see every response. And, given how busy we've been the past two/three weeks, don't always have time to respond. thank you very much for responding. Much appreciated! 1) If a JPEG evaluation is done, it should not influence a category called "low light score" (or similar). Such a heading suggests low light sensor performance, not an evaluation of the choices that were made for JPEG engines & their parameters. Why not just have a "JPEG" score on its own and not pollute other scores with JPEG performance? Wouldn't that be a better separation of concerns? 2) I am not claiming that DxO's way of measuring is the be all and end all method. However, I'm claiming it provides a level playing field. If you set two different cameras to "ISO 3200" it does not mean anything. One camera could show less noise just because it amplifies the signal less (leading to underexposure relative to the other camera). I don't know if you take manufacturer-stated ISO figures at face value, but if you do, your results will be slanted. P.S. : I understand you are busy and it is not feasible for you to engage in a dialogue with every single poster. I was just a bit disappointed with my recent luck with respect to the frequency at which I received responses. Maybe I'm wrong, but I think DPR staff could respond less to general posts/complaints and focus more on responding to posts that have a higher promise of resulting in fruitful / illuminating discussions. I do understand, however, that one does not want to be receiving baseless accusations all the time without being able to respond. Hi Class A. Yes, it's hard to strike a balance - especially when the accusations being made question your personal probity. I'm not sure that I agree that 'Low Light/High ISO' implies that it's solely a measure of sensor performances but I'll bear it in mind as we rework the scoring system. We do give all cameras the same amount of exposure so that the Raw files are comparable. Not quite the same as the saturatuon-based method, but still a level playing field. If Sony don't change their stance on what represents a true DSLR design with their petty mirror-less cameras, I'd be seriously considering replacing my aging Konica Minolta Maxxum 7D with this beauty. I've tried holding in my hands all Sony's models introduced since, well, they took the charge, and only Alpha 9 feels quite convenient to operate, but that's also a yesteryear design and a set of features. Pentax K-1, being somewhat smaller than Maxxum 7D (the latter is really the best camera body ever created as far as I'm concerned) still carries a true character of a DSLR camera. Excellent control layout and features, and especially a lightning speed autofocus contribute to an amazing experience. I can't comment on all the aspects of the image quality, but so far, what I've seen is on par with all the best market contenders out there with a similar feature set in a significantly higher price bracket. Good job, Pentax! They have different philosophies. 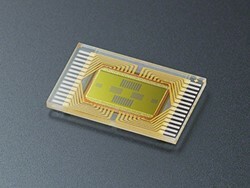 Sony has the experience and the lead in the "guts", sensors and LCDs for example. As for design and interfaces they have the freedom to try, create and innovate different layouts, forms and shapes since they are not "known to be a camera maker". Sony is getting better and aiming to be the lead on their particular market. Nikon and Cannon on the other hand are bound to what the market expects from them so their innovation is very limited to non existent (evolution, not revolution). 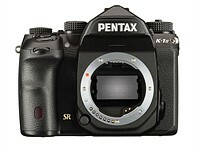 Pentax kind of falls in the middle and this gives them the opportunity to create great cameras like de K1 and the 645Z. I expect the following iterations of these two to be amazing! Looking at the 'Image Quality' section of this review, https://www.dpreview.com/reviews/pentax-k-1/8, I have a question for DPR reviewers. But, what about the Jpeg version comparison! The differences looks less stark to me in Jpeg version, vs compared in the RAW version, particularly while comparing the dark areas of the test image, e.g. just on the right side of the Macbeth color chart. Why this anomaly? Am I missing something here besides the fact that all the other manufactures might have a superior Jpeg rendition? Thanks. The sample shots of buildings are unacceptably unsharp toward the tops (and edges in some cases). I wonder whether that is due to wrong aperture selection or to poor 24mm lens performance. The shooting aperture should be indicated along with other shot info. Why no aperture data? I would be much more interested in the performance of the 15-30mm lens for architecture. Capture One already supports K-1 DNG and PEF raw files. Phase One could / should offer an alternative to the standard Pentax colour profile, but given that apparently they have even confirmed the development for PixelShift support to a customer, it seems likely that such a colour profile will be added in the future. In the meantime, you can create your own profile (with the C1 colour editor) or use alternatives such as the Fuji Provia profile that Scott Wang has made available. And no, while C1 is my preferred raw converter as well, its current suboptimal support for the K-1 does not mean that the K-1 is pointless. You can use DCU 5 (which just got a stability update) to turn the pixel shift files into TIFF which can be edited in Capture One or any other editor. 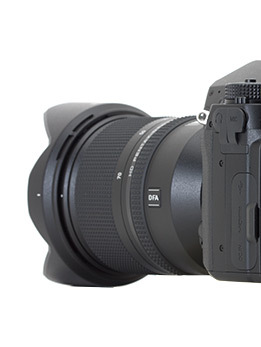 DXO says RAW support in OpticsPro 11 for the Pentax K-1 is scheduled to be released 09/2016. Capture one is good at supporting highly requested cameras in a reasonable amount of time. If there are enough requests from customers on their account request page they usually listen. I think that the weakest link is the human being that is using the camera. An experienced photographer with obvious knowledge of light, exposure, and composition will do whatever with the camera in his/her hands and will obtain super results. The camera is a tool and unless you need it for very specific tasks, any camera can do it. And a good picture does not only depends in how tack sharp is your lens or your, in this case, sensor. There are many photo sites in the internet that show portfolios of photographers that use cameras as simple as Vivitar ones, or old like the first digital Rebel and do marvels with them. Just my opinion. On Battery life. Pentax has a comparable battery to Nikon. 1860Mah 7.2 volts and 1900Mah 7 volts. They both use the same fujitsu/socionext processors and sony sensors. Yet Nikon has a much better battery life. How so? Does Nikon have a volkswagen trick to fool the CIPA test, or would it be the built in shake reduction Pentax has? Maybe a CIPA test should be done with SR off and see whether that makes a difference. The built in shake reduction and gps kill battery life. Maybe if you can turn off the features when not needed the battery life will be better. Gps is probably off by default and so not included in the test. Yes, GPS is off by default (there's a dedicated button on the pentaprism housing). The SR system, however, will be active even when Off - when it won't do anything else but to hold the sensor in place. I'm not sure how much it affects the battery life, though. By the way, I'm not sure Pentax is using the same Milbeaut processors as Nikon; perhaps due to lower volumes Pentax is going with a more off-the-shelf version while Nikon is customizing more? And there are other components which can influence the battery life. In any case, while not great I'd say the battery life is very much decent. It's not a sports camera, you're not going burst after burst at 10+fps with little pause. It is of course an area Pentax engineers should improve, but IMO it's not critical. I have one suggestion for DPR. The anti-vibration (5 axis image-stabilization) in K-1 really works very well. It works with all lenses: old or new. This is incredibly powerful, and very obvious advantage. I can easily take very good shots handheld at 1/10 second. Image stabilization mode of K-1 has not gotten so much recognition in this review as it should have. Perhaps image stabilization should be a category for evaluating all cameras. The dollar cost saving in body-based image-stabilization is substantial -- Not to forget, the lens also becomes lighter. Indeed, the in-body SR is one of the main points of the K-1 (and what makes possible special functions like the Astrotracer or Pixel Shift Resolution). I would have thought that in this day and age NOT having in-body image stabilisation in a DSLR should be in the "Cons" list in a camera review. Not all professional want in body stabilization, it be a hassle to turn off or on in a hidden menu verse an easy switch on a lens or not using a lens with stabilization. It's still a mixed feelings item for people. Certainly has advantages for tele hand held but can soften wide angle or high shutter speed shots if the setting was left on by accident. We don't have "an easy switch on a lens", but the SR setting is not in a hidden menu, either. You can have it on the easily accessible Info menu, it's automatically deactivated in certain situations (e.g. with the timer) and you also have the new Smart Function dials. Nikon, Fuji and canon lens have a sliding switch on the lens. Yes, I know that - it's standard practice for interchangeable lenses with optical stabilization. Pentax does that too (for the 645 - in-lens SR). What I'm saying is that with Pentax K (in-body SR) and especially the K-1, the SR On/Off setting is much more easily accessible than digging through the menus. It's in the menu not an easy external switch that can be turned on or off without removing your eye from the viewfinder, requires you to look at the camera and go to the menu even if quick and than select the item and turn it off. That's more steps than flipping a switch. professional (photographers) only make up a small percentage of people who buy DSLRs. I have assigned SR to fx2 button. So it is just one step effort. I would not mind a dedicated SR button on a camera. 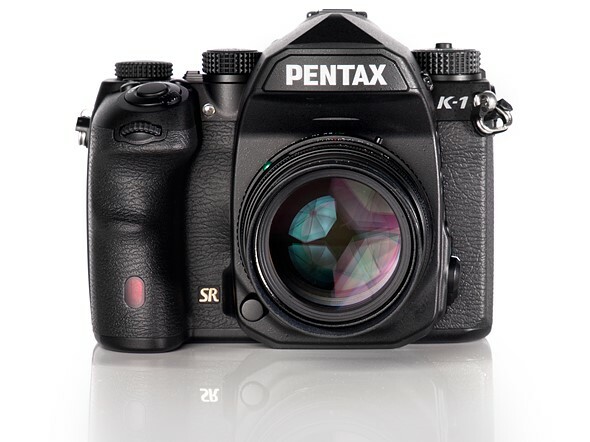 And of course, the built-in SR in a camera is already a huge plus for Pentax. pkcpga that is silly complaint, as if turning stabilization on and off is done so frequently that you need to do it as fast as possible while your eye is on the viewfinder. What you state as a cons pales in comparison to having all the lenses stabilized, and potentially having cheaper, lighter lenses. I can only wish that Nikon would make a body with image stabilization that would allow me to have all the primes under 100mm stabilized. Is it possible to elaborate on this? Is it soft relative to, say Canon, or is it just soft period? The obvious ones..can it be adjusted & is it possible you had a faulty one? It's pretty soft compared to Nikon, Canon and Sony. I even adjusted the sharpness settings to see if that would help the live-view preview issues but unfortunately those adjustments showed no marked change in sharpness. I found that it made fine tuning your focus much more difficult- especially without focus peaking enabled. Thanks for answering this. I'm comparing a Canon based with a Pentax based system for a new investment. For me the only real barrier to Pentax has been the lens choices (particularly at wide angle..& all angles!). The cost of what would be my default lens (the 15-30) is the major obstacle being almost twice the equivalent Tamron (unless it drops significantly). It makes a Canon / Pentax based system similar in price. This live view softness, though, is a major issue for me to consider & combined with the 15-30 lens price, steers me toward Canon (I'm thinking of the upcoming 5D4). It's hard to ignore the image stabilisation, dynamic range & articulated screen though, which are major pluses for the Pentax. I can't see Canon having those. Also, I'm sure other lenses will become available some time in the future. Is there any possibility the model you have is faulty? I highly doubt it. We looked at the K3 as well and found similar results- although the K3 was definitely a bit better. It looks as though the Live View preview is sampled at a lower resolution to enable faster Live View image preview. When you take an image and compare said image to the Live-View, the Live View is definitely softer which is indicative of the behavior I described above. I wouldn't say that it's a major hinderance, but it was a point of frustration at times. LV softness is not an issue for me in practice. You can magnify the LV up to 16x (just press a button and then use the back dial to zoom in). The image shown may not be crisp but you can easily see when you have the sharpest point of focus. With focus peaking turned on, you can even find the focus without zooming rather easily. I'd say try it yourself before you make a decision based on second-hand experience. 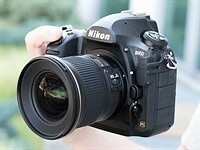 Why the compare mode doesn't allow to pick the Nikon D810? It is interesting to compare Alpha 7rii there as well. Mr. Claff states: "the performance seems quite similar to the Nikon D810"
It is compareable to the D800(E) A7R but with extended high iso range. The K-1's DR is similar to the D810, but the D810 still bests it. The problem here is that one DR number does not sum up total performance. While Bill's data/analysis of PDR is probably the best I've ever seen, it does not capture SNR data of tones. So, for example, SNR18 of D810 at ISO 64 is measured by DXO to be 46.3 dB vs 45 dB at base ISO for the Nikon D750. This means that most tones on the D810 are cleaner, and therefore will exhibit less noise after significant post-processing, pushing, pulling, contrast adjustments, etc. To put this in perspective, that's a 1.3 dB difference compared to the 2.7 dB difference as you jump from ISO 100 to 200 on the D750, which itself is about the difference between comparable FF and APS-C sensors (the difference between SNR 18 of ISO 100 on a6300 and D750, for example). In other words, that's a SNR improvement at ISO 64 on the D810 comparable to half the gain jumping from APS-C to FF. Irrelevant to some, but not insignificant. I'm still learning the finer points of using my K-1, but its been a delightful experience so far. The lack of noise in high ISO shots is very evident and the gamut of the sensitivity is apparent in every shot. The tiltable view screen is very functional and the brightness is easily adjusted. Some of my old lenses aren't usable for FF, but that's not a problem. One niggle that's bugging me is how to get my Nexus 5 to connect to the K-1 WI-FI. In summary, I'm extremely happy with my K-1. Try selecting the K-1 WiFi access point by selecting it in your Nexus system settings. I have to do the same on an iPad. On my Sony Android device, ImageSync is able to configure the WiFi correctly, but the iPad and some other Android devices need a bit of help. Once your Nexus has connected, you may still have to tell ImageSync that you want to proceed without having established a connection. It'll work nevertheless. I like your comment but we could say: "Those were the days, my friend .."
In many years from now things changed & relations among diferent brads also. K1 is a perfect camera for masses, but pros have higher demands nowadays.
" K-1 is a perfect camera for masses.....". Not sure that the masses want or could afford such a camera. ".....but pros have higher demands nowadays.". Pros demand reliable workhorse cameras with a suitable lens catalogue that are supported when things go wrong as they do in all walks of life. My Pentax dealer provides excellent support and this camera + the 3 lens amigos (15-30, 24-70 & 70-200) appear to fit many Pro requirements including their budget. However, the lack of confidence in Pentax coupled with negative reviews might cause Pros to look elsewhere. Back from being banned for two weeks. I took the opportunity to read the Nikon D5 review and yes , I'm impressed by its AF performance on motorbikes with a 300 f4. I'm not so impressed by the fact that I can see the same stunning images of motorsports taken with a K1 and DA*300 F4. I browsed a large number of photographs from the Nikon D500 and D5, and I did not see any photo that the K1 could not do. I came to the conclusion that I wouldn't spend 3 times more for a D5 if the same photos can easily be done with a Pentax K1. The difference may be in the higher number of keepers with a D5, we aren't in film days anymore. Since I get , on a regular basis, more than 70% keepers, I am willing to delete a few shots out of focus if it is to save me $4000. The question is, is the price of a D5 worth the difference in AF performance. I don't think so. Apart from the autofocus did you see the processing power of D5.......that buffer is never full. I don't say that D5 is cheap but she is in a league of her own(ok Canon is there also). @thegreat26, you are technically right, I fully agree that D5 has a deeper buffer and more processing power! Practically and very honestly, I don't like a camera that take 100 of the same shots because I don't know where to store them and how to retrieve all those same shots. I've used a K3 for airshows, 8.3FPS, came back with 64Gb of photos and had to spend two days to boil it down to 50 good images that I want to keep, not because of the number of AF keepers but because there was a lot of redundancy. At a model show, I've seen a guy with a 1Dx shooting 20 shots burst of the same lady model not moving... she wouldn't escape you know, why did he need 20 burst while I took a single frame with a 135 f2. I've seen Canon taking 200 shots of the same bird not moving , while I took 4 frames (even 4 is took much, you have to delete 3 of them afterwards). So, D500, D5, 1Dx = no thanks, in my option, it's not the quantity that matters but the quality. Common sense. Yes but how did the D5 do on the swerving bike test? You've got to leave room for Nikon to shine. So, is the reason to kill K1's AF upfront. So there could have been similar problems perhaps if the conditions had been the same? I imagine the Pentax would have 'weathered' the less harsh conditions well, too. I find the Olympus to be a little faster & surer to focus than the K5 & with the EVF (WYSIWYG) to be better suited for 'action' shots. Btw, I didn't mention the Nikon D5-are you confusing me with another commenter. In the conclusions you state "Another point of frustration was the fact that the focus points aren't illuminated in the viewfinder until focus is confirmed, which makes it hard to even find your AF point to know where to place it in low light conditions. " If you press the focus mode button (on the side of the body) while you are shooting, all the active AF points light up (1, 9, 25 or 33 depending on your settings). I think this is the feature you were missing? Tnx for another great info! it incites so many useful comments, which I miss by other brads/reviews. We've addressed this quite a few times and this has already come up in the comments found below several times as well. That isn't the feature we were 'missing' it's just somewhat cumbersome to use. It would be a great deal easier if you didn't have to worry about pressing an additional button while shooting to illuminate the focus points that's why we addressed it in the manner we did. I agree that this is a somewhat annoying behavior of Pentax cameras. As it is now, the AF point only flashes to indicate that focus has been achieved, but this creates unnecessary redundancy, as we also have the green hexagon in the in-VF LCD and the focus confirmation beep. I, for one, would rather have one less thing to think about when I'm trying to concentrate on getting the shot, particularly when it can be automated. Luckily Pentax can do this through firmware. I'm not saying they should force it on everyone, but they could create a menu option called "Illuminate AF point on half-press" or some such. I can't think of a reason not to do it, so I believe it is a fair and constructive criticism. Pentax would not change a behaviour it's users are used to easily. I can imagine there are people that don't want to light up their VF all the time. Just because the behaviour in other brands is different doesn't mean it is better. Chris, my point is that reading the text, a reader understands that the feature is completely missing rather than "cumbersome to use". After all, it's just a button away, no menu digging or anything. @miles green I amended the text a bit to clarify what we meant by that. I don't understand... your k-1 doesn't do a red flash to see active focus points at focus confirmation time in poor light situations?!? I am used to this "blinking focus point" & I NEVER missed anything .. even .. I never thought that it is diferent by other brands. If a man is used to souch nonimportant feature which is diferent by others .. he simply has no need for changes. So .. Pentax has this feature for decades and only people who are USED to diferent feature by other brands think that this one by Petax is worse. I hope that you understand what I want to point out - I know that my English is not an example of best speaking. My experience, having used 1/2 a dozen models, is that the red led(s) in the finder only indicate the focusing point, not that focus has been successfully acquired. Focus acquisition is confirmed only when the 'diamond' symbol lights up in the finder display. Further, there are sometimes 'false positives'. The K-1 is the first (and so far only) Pentax with a LCD overlay. Yes, it works differently from any of the previous models. It's not a big issue, but the criticism is valid. @Miles, but that's the problem with most review sites (DPR not excluded). Every site more or less expect any camera to be like Canon/Nikon. Why not look for what is user friendly with an open mind instead with finger memory and be more objective? I found the Pentax camera's to be more intuitive to use then the main brands. And no i'm not a fanboy, i shoot Canon, Nikon and Sony in the past professionally, but i prefer Pentax. There are limits with WR. You said you are now using Olympus & Panasonic cameras-have you used them in similar conditions & if so how did they hold up. @professor999: I`m well aware of the differences. We have a good relation to the Pentax repair service, and they explained (after the incident) that even they find that the sealing works fine against dust, but is unsufficient for a truely humid environment. In Germany the cameras and lenses are marketed as "fit for use in tropical environment", and the Pentax repair service tells us that this is exactly such an environment the cameras and lenses are not really good for, tropics call for a different approach to the entire sealing. Using some sort of cover was no real option- it was handheld shooting and lots of running around & heavy winds for hours, no tripod operation. When we repeated the shoot with the EM1 / GX8 the weather was in fact better, with only 30mins of severe rain showers, and then sunshine, which caused no problems at all. So you can`t compare the 2 situations- with the K3s we had 4 hours of heavy rain. Where the situations were equal was the subject- surfers. The K3 AF was set up together with a rep from RICOH Pentax, and still the hit rate on the moving subjetcs (AF-C) was around 20% only, and this is consistant with the findings of dpreview in the K3 and now the K1 test. The EM1 and GX8 performed much better under the same conditions, giving hit rates of 60-70%. I will rent a K1 soon and test it myself. All I`m saying is that I`m sceptical that the AF improved much. There something in between shooting static subjects only- and needing a D5 for everything else. Not everyone shooting moving things should be "forced" to invest into a D5, there must be something in between. But on many occassions, the K3s showed that their AF, although able to focus in darkness, is often next to useless (AF-C) in reportage situations, and even showed subpar performance in AF-S. This is currently the one and only point that is keeping us from investing in Pentax again. But I will see how the K1 works. @fotopizza, I hope the Rep from Ricoh/Pentax took your AF feedback up to their Management chain. It is interesting to note your the AF-C test results match DPR's. I hope some of the skeptics here take notice. Well, regarding AF accuracy I was told that the AF of the K3II were, thanks to a new algorythm, maybe a wee bit slower than the AF of competitors like Nikon`s D7200 or Canon 7D, but around 20% more accurate in AF-S. I can not confirm this, since I have never used a K3II, or a D7200 or a 7D. All I heard was that there were hardly any difference in AF speed or accuracy between the K3 and the K3II, but again, this is hear-say, not own experience. No, our concerns regarding the weather sealing and AF performance was not taken seriously by Pentax. So for now, we don`t use Pentax anymore, which is a shame since otherwise I liked them a lot. But as I said, I will soon rent and test the K1 and see for myself what the AF performance in situations relevant to me is going to be. I just read the K1 review of a major German institution, reviewing electronics, cameras, computers. According the their review, the K1`s AF-C capabilities- both speed and tracking accuracy, is only very very short behind the Nikon D5. Now this is one hell of a contradiction in test results. One more reason to get my hands on the camera myself. Dust and water resistance field test. The above mirrors my own use of a K-5 for nearly an hour in a full gale and driving rain where I had to continually wipe down the viewfinder and front of the lens (note: like all competent photographers I always use a UV filter on my lenses to protect the front optical element). Looking forward to rent & try the K1 soon. I honestly like Pentax. I love the ergonomics, features, IQ of the APS-C & the 645. Still, we sold our K3s we had in our company for reportage work. Reasons: The K3 is marketed as being weather resistant. Our experience: After several hours of shooting in heavy rain showers, both K3 were basically full with water and gave up. The so called weather resistant lenses, namely the 16-50 f2.8* and the 60-250 f4* suffered from severe condensing water behind the front lens once the sun came out again, so they were useless. Pentax then told us, that this were improper use, since the cameras are not made to be used in bad weather, so the warranty of these cams and lenses was void... We shot an industrial reportage with people, and a reportage on surfers at the Baltic Sea. The AF was set up together with a Pentax rep! The rate of missfocused shots was around 80%. I really hope the K1 AF proves to be better in such situations, but my expectations are low. Im really interested in how you managed to destroy two K3 houses and also get enough in the lenses to create severe condensation in both lenses. Or that You have some other agenda...strange how The K1 brings out people with negative experience of earlier Pentax models..
https://youtu.be/N7bpGiLKFDs (test starts at (9:15 of the review). Thanks for the reminder, it`s already been removed from our website. It was a 4 hour shoot on a warm day, with heavy rain showers during that shoot. Of course no flaps were opened. The Pentax repair service then said, on body 1 the water broke in near the shutter release, and on body 2 around the rear display. They also said that the sealing may work fine against dust, but not against water, since the bodies don`t feature real O-Ring sealings. It`s a rubber foam material that soaks up water that is being breaking in. With soaking it up, it starts swelling, and by swelling it gets bigger thus forming a barrier against water- for 20-30 minutes. If water continous to hit that barrier, the foam gets saturated and lets the water simply pass, what is exactly what happened. And Pentax then claimed, using the cameras in such weather, although the cameras are marketed explicitely for such conditions, is regarded as improper use. Regarding the lenses, the repair service said that were quite normal. Lenses are not as "sealed" as the bodies. Humidity can break in relatively easy when shooting in the rain. As soon as the sun somes out again, the lenses heat up and water condenses on the inside of the front element, which takes days of storing it in a dry place to remove. On one occassion, another WR lens had the same problem. It was used for shooting a time lapse over several days in northern Germany in May 2014, outdoors (but inside a weatherproof housing). Here, the temperture difference between day (highest around 25°C) and night (lowest around 5°C) caused humidity to enter the lens. Every morning when the sun came out the water condensed on the inside of the front element, rendering the lens useless until around 11a.m. on those days, when it got warm enough to make the condensed water disappear, until it came back at night. Regarding the AF-C, it doesn`t need a D5 to do what we wanted to do, because repeating the shoot with the surfers later by using an Oly EM-1 and a Pana GX8 showed totally different results- both AF systems were able to deliver a good hit rates. But, again, I can`t wait to try out the K1 in the hope that Pentax made progress on the AF field, since I could really imagine building up a Pentax set again, when AF, weather sealing and service turns out to be reliable. So I read the review here but I like to test it myself. All I`m saying is that the findings here regarding AF performance are consistant with our experiences with the K3. Sorry if can`t quite share the fan talk, although I consider myself being a Pentax "fan", always have been. Absolutely not. I`m not harming anyone, I merely share our experiences. And you get one thing absolutely wrong. I`m not complaining about the fact that on our copies of cameras and lenses was not even close to that what Pentax claims. Cameras can break. The sealing of a batch of cameras and lenses can be of lower quality than the next batch. Things can break, they mare man made things, not perfect items. My point is, that these cameras are marketed for pro use as well, with certain marketing claims. Things can break and fail, no problem with that. But when a maker then comes saying: "Well, ok, you used the equipement in an environment we market the gear for, in an environment we claim it`s going to work - but now you have actually used it in that environment, under these conditions, the gear failed- so now we tell you, that this was improper use which voids your warranty!" THIS is what I find, let`s say, disturbing. Not the fact that the weather sealing was defective. But I see, it seems to be not allowed and cause aggressions when someone dares to share an experience that is not in line with the common perception. So, ok, here comes the revised version of what happened: We went scuba diving, down to 100 meters, and took the K3s with us without any housing- and they worked perfectly, no malfunction whatsoever. And then, then we used the AF-C function to sucessfully track a caliber .45 ACP slug from leaving the barrel until it hit the target, with a 99% AF hit rate. (Sarcasm mode off). Well next time try a Nikon D5 and see if you can break that. You need to be careful with electronic gear. Weather sealed or not. There is no fool proof warranty. It would make cameras much more expensive. I`ve been a working pro for 10 years now, I know how to handle gear. It was normal work use, under conditions the gear is explicitely marketed for: Intense but normal use under normal central european weater conditions in summer. Rain, wind, changing temperatures - but well within the temperature range the gear is rated for. Claiming this being improper use which voids the warranty is not right in my opinion. 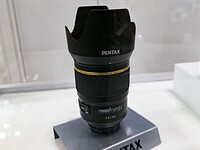 Pentax is aiming more and more at pro users. But part of the decision which gear I use is based on trust. "Autofocusing was generally fast and accurate for still photography and the review camera had no problems focusing in very low light levels...."
Again, it's unclear what they've tested. There are plenty of ways of shooting where you'd conclude that AF was 'generally fast and accurate' and we'd agree that the K-1 can focus in very low light levels (though the speed drops, which can be a problem if your subject is moving). But we tried to break it down into more detail to find out exactly what it did well and what it didn't do so well at. Posting a quote and link with no sign of detailed analysis doesn't change (or even challenge) what we've found (after repeated testing). It's a shame that this comment thread has ended up so focused on autofocus, rather than the K-1's considerable strengths. Your are correct that it is a shame that the comments have centered around AF performance because, unfortunately, naive readers may be left with the impression that the AF is all but unusable. I have provided a few quotes from other reviews to show that the general impression of the AF is quite positive even if it is a bit weak in certain areas. @richard butler. "It's a shame that this comment thread has ended up so focused on autofocus, rather than the K-1's considerable strengths." Absolutely, 100% agree with this statement. However the clumsy, juvenile wording of the first issue of the review did not do DPR any favours. Was there really a need to make snide comments about kindles, or poor AF as a blanket statement in 'cons'? Where is the headline emphasis on the potential of PS technology? Yep,maybe it is limited in use at the moment, and the algorithms needed to decipher and eliminate movement at a rudimentary stage, but surely it is worth more positive emphasis. Using PS easily trumps the IQ of a D810, at a considerable cost saving. This is the point of a camera such as the K-1. It is a field camera, a landscape, macro, still life, portrait cam. It is not, and was never intended to be a blazing sports shooter. I have no qualms in accepting that Pentax lags canikon in tracking AF capability. For me personally it is not an issue. I have qualms with the emotive subjective wording used in the review, as originally stated. I have qualms that no effort was made, as far as I can ascertain, to reach out to Pentax and establish the correct settings to be used for such a test; or indeed if such a test was within the capabilities of a field camera such as the K-1. I accept I may have missed a relevent post somewhere which defines the parameters which Richoh/Pentax suggested were optimum for the tests to which the camera was subjected. Perhaps DPR could post them somewhere prominent. Only for Pentax-fan-boys-club (or Pentaxisti) - CaNikon lovers .. please do not read this because of big danger of heart-attack !!! We didn't say the K-1 is "unsuitable for anything moving," nor can I find any clear detail of what aspects of autofocus IR tested. We're not saying the camera can't focus, just that some aspects of its focus fall behind its rivals, especially in terms of continuous AF and tracking AF, meaning that you should probably consider other cameras if this is something important to the photography you do. 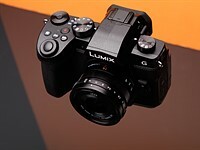 We also found lots to like about the camera (not just its really impressive price), so gave it a really positive review. If your photography is demanding in terms of autofocus, then it's not the strongest but It's a really good camera in many, many respects. You didn't but I saw Rishi say it somewhere. "Just to clarify: when we say the K-1 AF lags we don't just mean in terms of action, we mean for anything that's moving. That's not just sports. That's also a toddler, a bride, a pet, a model. " "LL AF: The Pentax K-1's phase-detection autofocus system was able to focus on our standard low-contrast AF target down to well below the 1/16 foot-candle light level (-3.4 EV) using an f/2.8 lens with its AF assist light turned off, which is excellent, easily meeting Pentax's spec. And with our high-contrast AF target, it was able to focus down to an amazing -5.4 EV. With the AF assist lamp enabled, the K-1 was able to focus in complete darkness on both targets. In Live View mode, the K-1 was able to focus down to -1.3 EV on our low-contrast AF target, and down to -3.3 EV on our high-contrast target, which is quite good." Yes, we also found it can focus in very low light. The problem is that it slows down considerably to do so, so that it helps to change to release priority if your subject is moving (it's unclear from IR's testing whether they mean a static or moving subject). It's very good but not an unqualified success. My main concern is whether our review is accurate and proportionate (the vehement feedback makes it hard to assess whether our coverage of the AF system was given disproportionate weight by us or because it's become a point of contention). I can't speak to every phrase in every comment by all my colleagues. It's the review wording that's paramount. As I say, we believe we gave the K-1 a good review, even though we found (and maintain) that its AF system isn't as capable as some of its rivals. 84% and a Silver award is a very good result, because the K-1 is a very good camera. Favorable Exponynt: I said 'lags', not 'unsuitable for', which is absolutely true, and few would deny it. You are free to continue to misinterpret what we write, but I'd really appreciate it if you didn't claim I said things I didn't say. DPR: "The K-5's AF system is new, and Pentax's claims that it is faster and more accurate than the system used in the K-7 are bourne out in our shooting. It has the same SAFOX IX+ designation that is carried in the medium format Pentax 645D, - the 'x' denoting that the AF sensor is sensitive to light color, as well as intensity. Whilst we do not have a specific testing regimen for AF, we have used the K-5 extensively, and we have found that its AF system is extremely capable, in both bright and very low ambient lighting conditions. In the dull interiors of bars and museums, the K-5 doesn't give 100% accuracy, but out of the hundreds of frames which we shot, only a handful are marred by focus errors. Autofocus acquisition is extremely fast and positive, with both conventional screw-driven AF lenses and SDM (ultrasonic-type) optics. " The impression given by DPR is that the K-1 AF is worse than the K-5. Is this true? No, the AF testing of the K-5 was worse than for the K-1 (and other recent cameras). That quote, which was written in good faith, shows what happens if you don't try to assess the different aspects of AF in a controlled and repeatable manner. You end up making general statements that risk boiling down to "it seemed fine for the way I shot it." @Richard Butler, your team reviews many brands/models. That statistically takes the bias out of a testing process after a few such experiments. Processes evolve. AF testing is hard. But you have now found something (AF-C) that works well in other brands, and not so much in K-1, and that is a fair test metric. And yet K-1 gets 84%, and a silver award, pretty much like the Canon lead camera which would have better AF, given their reputation. Don't fuss over the fairness of your K-1 review too much. It is fair. And kudos to your team. @Richard Butler, A lot of very passionate expression here is 'oh, this camera AF works for me', and that is a fine test metric for them. But their metric is not the same as your metric above. And a lot of people complain thinking that your metric has violated their conviction. That is not your problem. You are comparing K-1 against D810, and would be doing a dis-service if you didn't point these issues out. A lot of Pentaxians haven't had their hands on a D810 is very likely. So far, no body has given the detailed AF test results like your team has. And I believe you have repeated the test many times, so that should take the bias out of this review. Most of the commentary here is from people who have love for Pentax, but not necessarily the test experience that you guys have. K1000usr - my concern isn't so much in our evaluation but in how effectively we've communicated our findings. There will always be some degree of 'it works for me, so you're wrong to find fault,' regardless of brand and regardless of criticism, but I want to make sure that we've provided enough information for people to understand why this disparity can exist and to make sure one criticism hasn't overwhelmed all the other content of the review. The point I was trying to make above is that for the average user the K-5 AF systems works well even if it is not class leading, but the K-1 AF which is much improved would do considerably better than the K-5. It's a question of perspective. "Another point of frustration was the fact that the focus points aren't illuminated in the viewfinder until focus is confirmed, which makes it hard to even find your AF point to know where to place it in low light conditions"
I believe this could be fixed in firmware, and that such a fix would make for a nicer shooting experience in low light. There are several other Pentaxians thinking the same, on the Pentax SLR Talk forum. I think this behavior (having the AF lights to indicate selected/active AF points, and not focus confirmation) is better than the current one. I think it's fine having only the classic hexagon and the camera beep to indicate focus lock (some other things might be done, e.g. red AF lights blinking slowly if focus can't be locked). DPReview, was this explicitly communicated to Ricoh? If not, could you please do it, I'm assuming you're in contact with them? Just press the "AF mode" button if you want to see the currently selected AF point(s) being highlighted. Keep it pressed, if you want to highlight it/them continuously. It's not a non-issue, but an usability issue. I think Ricoh Imaging would be interested in such feedback. How is it a "usability issue" when there is an easy way to address your concern? The AF mode button can be easily reached with the left hand from a natural lens holding position. Pressing it gives you (and DPReview) the behaviour you want, not pressing it gives one the behaviour Ricoh wants. One would have to assume that Ricoh's decision on when to highlight AF points was a very deliberate one, no? Not to crush your hopes, but from experience, Ricoh will not respond to your feedback. They had their reasons to not implicitly highlight AF points but to make users explicitly request it and I'd be very surprised if that decision were ever revised. Implicit vs explicit AF area highlighting could become a configuration option -- and I would support that -- however, from experience, I don't think it will happen. Because that's what it is. You can argue about its severity, priority but not this. Since you can shoot with the AF mode button pressed down (though you can't change AF points or exposure parameters), it's not a big deal. But it's up to Ricoh Imaging to accept/reject this small enhancement request, and to prioritize it. And even if they wouldn't change anything for the K-1, it's something to consider for a future model. if you want to know how the k1 sensor capable try to shoot under exposure at raw then open the file on Lr. you will find that the sensoe captured all the details. that is what happened to me yesterday night i forgot to remove the nd filter from the lens when tried to capture a very limited event when i returned home i found all fills are very dark but wait the sony sensor is here! yes amazing dr.and this is what i want from a camera. kudos to pentax! I am very haapy & proud (NO joke) to be "Penax fan-boy"! I just do not understand others who are insulted with this new original name of our community. Pentax K1 .... 2511 & rising .. record is broken! But I lost my bet .. too late fo 1 day. "Fanboy" has a very strong pejorative connotation. It is an insult. Simply preferring a brand, choosing a brand, being reasonably happy with a brand doesn't make one a "fanboy". It makes you an user. Sometimes is better to do as I (or somebody else) do not understand all the small details of a language and I take words from shiny side ..
... allways look at the bright side of life. Trust me ... I use souch system many times to avoid quarrel and insult. It works. Penax sounds odd. Please use Pentax. Yes, there is nothing wrong with the word "fanboy" as it perfectly describe a group of people who are in love with a brand. I also agree that you are a fanboy, as you seem to be very happy about number of comments posted on this review. You are confusing announcements with previews. The preview becomes a review so the comments are retained. Also for the A7 RII and A6300. Your persistence on calling people fanboys is rather boorish. ΕΤ2 feels the need to deconstruct even the notion that a Pentax product can have more comments than the products of other companies. LOL! Gio 645, funny you have a problem with my deconstruction, but you don't believe that a person who is counting comments and has been announcing that straight for a week now, is a fanboy? If you have another words to describe people like that (and you), let us know, and I will use that word. For the last time. Can you provide any evidence that you can take pictures? All these years you have been challenged but you always failed to prove that you actually can take any decent picture. If you prove me wrong, I will take you seriously. You are changing the topic again to my abilities as a photographer. I never talk about myself, or what cameras I own, or what my religious or political views are on any topic. Stick to the topic. For me eye autofocus technology is a game changer and something I will expect my next camera to have. I am happy to see how well Pentax K-1 image quality stacks against Nikon D5 -- by comparing its images, as recently reviewed by DPR! Even at those tiny resolutions, with very little Z-depth movement, I still see many shots focused off in the background. And you accepting his words over the (1) lack of actual data (we provide you all shots at full res with methodology explained, and even redo stuff for you when you desire, even when we know the results would remain unchanged - as they did), and (2) lack of any thought into a standardization of his test to ensure that the narrow thing he's testing is actually relevant for a broad set of use cases - all this is, sadly, confirmation bias at its best. I made no comparisons between the video review and the DPR review. However, I would be interested in more info regarding the DPR claim of hesitant AF-S in the K-1. If you check this guy history, you will see he is googling and posting any site that says K1's AF is good, regardless if the source is is credible or not, he does not care. He is not motivated by truth. He is motivated by defending his brand by googling and finding anything that he thinks is positive, and posting them to forums and comments, regardless if they are true is irrelevant. That's his basic mindset when he posts these links, as he has been doing for a week now. By the way... since I'm criticizing the AF tests, AF tests criticism (when not valid) and who knows what else; it's not like I don't have positive things to say. My impression of the review is not entirely negative, far from it. Yes, there were issues (e.g. the defective 77mm samples, the Pixel Shift not being supported by Adobe etc.). However, when everything was put together, as I read it I kept saying to myself, "hey, nice from them they're mentioning that". The authors - this was my impression - were really into reviewing the camera, discovering what works and what doesn't, this and that. Should I say, enthusiasm? I'm also impressed how Pentaxians immediately started putting the K-1 to work, especially in areas where it should be weaker (see the Pentax SLR Talk Forums). Tracking swallows, really? Last but not least, I'm impressed by the camera itself. No product is perfect, but the K-1 is a sound product. And for Pete's sake, putting the camera in AUTO will force AF-S, effectively disabling AF tracking! I have a Canon mark 2 and i was very happy with the camera but is an old camera and i want to upgrade to a new one. The Canon 5ds is to expensive and i dont like the colours and the dynamic range. Looking for other cameras i saw Pentax K1 and reading all the reviews that are on the internet about Pentax K1. Im thinking to give a try and change my gear to Pentax. The price is affordable and very good quality images. I shoot a lot of weddings and i want to know something more how pentax works with the flash if it is possible? AF is good enough for my kind of work also the 15- 30 mm, 24-70mm, and 70-200mm are good Lenses and cover 95 % of my work. There is a saving grace for the Pentax system, but ironically it is not of their making. The Cactus V6 system (with the optional RF60 flash units) very neatly addresses many of the shortcomings of the Pentax system. Foremost it adds flash "groups", allowing you to control multiple off camera speedlight from the camera's position. It also allows you to get around some of the limitation of sync speed and Pentax's overprotective implementation of it. However, the Cactus V6 system is a manual flash solution, so TTL shooters are largely out of luck. Flashes equipped with an auto thyristor offer a workaround, but it's still not as reliable as Canon, or particularly Nikon. If all that is true, why would a flash shooter pick Pentax? Well I was already well entrenched when I began doing flash. There are workarounds, but you have to be clever about it. If you want a robust, easy-to-use flash system there are much better options. Folks can flame me if you like, but I speak from experience. Thank you very much for your informative post, Maxfield_photo. More posts like these, please. I will not flame you but my experience is totally different. I do weddings for living and I use one K-5II and one K-3II paired with Metz 64 AF-1 flash units. They both give me constant predictable results. Thanks Gio, I got to thinking that my post may have been a bit harsh and it's good to hear that others are having some success. I guess it really boils down to what you are trying to achieve, and my setups tend to be a bit more complex than most people would attempt, i.e. multiple off-camera lights, overpowering the daylight by several stops (sync speed it a real problem for me). I also like being in charge of the balance between flash and ambient, and I've always felt at the mercy of pTTL when I'm forced to use it. For simple applications however, the Pentax flash system may be completely adequate. My main point to the OP is rent one first and see if it will work for you. What I do NOT recommend is selling off all your Canon gear and buying a K-1, a few lenses, and a flash or two without first test driving the system. You may discover that it does not meet your needs, and then you'd be stuck. I'am using a pentax K-30 for weddings paird with a pentax FGZ540II on camera. It makes a decent work in the 90% of my shots. In the remaining 10% it underexposes because some flaring jewels or because something else. In general these shots are correctable in post. I have a Metz 44 AF-1 also, but the pentax flash produces much more reliable shots. Maxfield_photo I agree with you, the flash integration could be much more sofisticated, but it can do the job. If you will use only on camera flash I think you will be ok with pentax, but I would also recommend to rent a setup and try yourself. Nevertheless, Gio 645, he got a star on his posts and you didn't, so you can't be right. By the way, Metz should launch some firmware updates for the K-1, shortly. @ervinberxoili: try renting the new system first if you can. I had years ago also owned a Nikon (film) SLR, and its flash support was wonderful. Matrix Metering was also very good. Switching over to Pentax dSLR was a surprise: Pentax never really tried to improve their flash support. Perhaps the new flash 360GZII is better than its predecessor, the one I have. Pentax Flash speed sync was always lagging 1/180 sec instead of 1/250 on my decades old Nikon! But really, this was not the sore point for me. It was how well the Nikon flash system worked. I could connect its old and new flashes to work together. Connecting multiple 360GZ was a pain. TTL support was never so refined as Nikon. I've done several weddings when I used to work with this, and yes, flash is not as good as Nikon or Canon when using TTL, but when you are in a wedding, my suggestion is that you should not use that anyway. What I used to do, was taking two 300 Watt strobes, and point them to the ceiling, at around 1/4 of full power, with radio triggers. Pentax cameras have cable realease for flash, so I used it there the radio trigger, while I used the AF-540 (first gen), as the flash on the camera, with P-TTL, with a softbox (but any Gary Fong should also be quite good). Camera settings usually were 1/60, and left ISO and aperture changed depending on aperture needed at the moment. The results were quite good. Shoot raw, of course. But: I bought two other AF 540 to be able to make high speed, big aperture, portraits, and despite being good enough, it was really annoying to have to change settings on each flash, everytime, while Nikon partners made most adjustments on camera. Hmm... it seems that AF-C on a static tripod with the subject weaving in and out of the focus field isn't a very good test of the K-1 real world AF capabilities. ... and yet most people doing any real-world AF-C tests themselves of approaching / receding subjects get similar results. Those offended by the bike test should really just be glad we didn't publish the results from this sort of test with the K-1 at 35mm F1.4, where the K-1 had a dismal hit-rate. Of course then the conversation would be: 'so the K-1 doesn't focus on a mannequin when you move the camera in a drunken fashion'. Which'd miss the point that it conversely can't subject track well enough to recognize, and then follow, the eye of an erratically moving toddler, or model. Our tests have been carefully vetted to ensure they reflect certain aspects of real-world performance. On top of that, we only extrapolate very obvious trends from these tests; we don't take quantitative hit-rates as gospel from them. On top of that, we shoot thousands of photos w/ the cameras, & make sure tests match up w/ real-world experience. Rishi, I have to respectfully disagree. Your tests are rather singular, they are not representative of everyday usage. To track eyes, we can put DSLR in CDAF with face detection, to shoot moving subjects, most would pan to follow instead of relying completely on AF tracking. Your own A7Rii review said it wasn't good for tracking long sequence of action despite an outstanding AF system that aced your in-house tests, due to blackout which tracking. You really should give the K-1 to a pro sports shooter and see how it performs in real world situation before you make your AF conclusion solely based on the artificial tests you have. For one, no, our tests (plural) model many real world examples. Weren't you one of the chorus supporting the one test that the French magazine I did was somehow being more representative of real world performance? If so, ironic. Second, it's not just our tests, but our thousands of shots and experience in the real world. Third, as I explained in another post below, the a7R II's issue with sports is not its AF system, but the use of stop motion images to track an object yourself in bursts. It's AF system is as capable as our tests show in the real world, because, again, we've spent years vetting and re-vetting and refining our focus testing methods to ensure they correlate with real world performance. And yet each time we still combine real world experience with tests before writing an opinion in a review. You act as if one bike test is where we draw all our AF conclusions from, and yet nothing could be further from the truth. Interesting cop out with the eye/face tracking. So toddlers and models and brides only move in the X-Y plane now? I can assure you from actually shooting models, brides in weddings, and toddlers that they is not true, and every one of these subjects benefit massively from proper subject tracking, if not eye tracking outright. None of which the K-1 can do in a competent manner, and I don't just say that. I tested it. Multiple times. In the real world and with our supposedly laughable mannequin test (that still correlated with my real world experience, funny enough). I'm just saying that Pentax fanboys should really be glad we didn't publish that data, though perhaps we will go back and do so as we're doing a disservice to the rest of the general audience by not pointing out this failure of the AF system as well (though we mentioned it). Furthermore, the data in aggregate make sense: if the subject tracking isn't fast enough to stick to our biker even remotely, it's not going to be robust enough to quickly shift AF points to track an erratic toddler. Kind of nice when things (don't) work as expected, unlike Canon which subject tracks our biker well but can't track any close up to save its life. That required a whole set of investigations to figure out what was going on, and we did eventually. But even then, many resorted to the 'oh but your one test doesn't prove anything and is irrelevant.' And then, just like now, no one was able to disprove any of our findings. Oh this reminds me: we did some more AF-S testing side by side with a D810 the other day- triggering both cameras on the same subject at the same time just for AF-S acquisition speeds. 10x replicates. Where the D810 would always fire in a fraction of a second, sometimes the K-1 would take seconds while hunting around and fine tuning before taking the shot. Particularly when set to 'Auto' AF area mode. Both with their respective newest 24-70 F2.8 lenses. And yet many didn't understand our complaints with the camera's AF-S acquisition times. Also I heard the latest theory as to why subject tracking didn't work in our tests was because we didn't have the camera in Green mode? That goes beyond grasping for straws. Really, Rishi? Name calling? ("Pentax fanboys") Threatening that we should keep quiet, or you'd publish worse results (of what?)? Ignoring the people who proved with pictures that IRL the K-1's AF-C can work? Is this the proper behavior for a DPReview Technical Editor? Is this how you close the bridge between this site, and the Pentaxian community? Despite your aggressive claims, you don't even know what you're testing (which is a very difficult thing to know, I must say, but necessary if you want relevant results). You're asking the camera to track a cyclist's foot, but can't have even that properly covered by the center AF point. You don't put any effort into making your tests consistent. Etc. You do have one point, the AUTO theory was downright silly. Some people were too hasty in making up one theory or another, instead of going for the basics. But while some were grasping for straws, many others were and still are interested in a fair and accurate evaluation of the K-1's AF. It's called calling a spade, a spade, not name calling. As the reviewers says they performed multiple tests multiple times (not just bike test that was performed 6 times, triplicate, making it 18 times, but various other tests, side by side tests, and generally using the camera for months etc. ), before writing the review. The posters who are still whining are well known fanboys who do the same thing on the forum. ET2, you are a known troll on the Pentax SLR forum - no Pentax equipment, no interest in Pentax equipment, posting there to bash Pentax and attack the Pentaxians. You supporting name calling is just another one of your posts. Don't forget - anyone can check your posting history. Anyone can check your posting history too, and you have known history of attacking anyone who says anything critical about your brand, like you are doing right now to reviewers, and you don't even own K1. Anyone is invited to check my posting history, instead of, for example, taking your word for it. And to check my gear list, too - again, instead of taking your word for it - because I DO OWN a K-1. It's you who doesn't, and won't ever. I don't think calling people out in this section that are still crying over the AF "Pentax fanboys" is name calling. it's probably alot more PC than calling them rabid pentax fanboys .. which is more apt. While I don't necessarily agree that the subject tracking test is the holy pancea to how an AF system should operate, when other systems do it well, or better - then it's certainly something that is lacking. having a completely stationary camera against a highly mobile target, isn't real world, but it's somewhere in between. However, testing AF systems is a huge problem domain, and it's certainly not as black and white as pentaxians wish to claim. and btw, calling someone a "known troll" .. is in fact what.. ? right. thought so. Oh? ET2 has a backup? I wonder, why are you so angry? You are the one who is angry, not rest of the world, as your angry reaction to the review continues, despite facts explained to you. AF was subpar compared to other 2015-2016 models after dozens of tests and months of using the camera, that included using the camera side by side with other models. If you are not the definition of fanboy, do we need to invent a new word to describe your behavior? ET2 is a troll...best to just ignore him. I don't know why DPR tolerates him. I really have to wonder about the objectivity of the the DPR testers when they reply to legitimate criticism with name calling. I also would like Rishi to elaborate a bit more on K-1 AF-S testing and the specific conditiobs where he claims it hesitates, since this is not reported by other review sites and/or magazine reviews. Nor has this been reported by users. Funny coming "troll"accusation from the same fanboys who keep asking DPR to "explain" why they haven't rated K1 best invention ever since slice bread. This guy posting history speaks for itself. ΕΤ2 is a monothematic personality. His sole goal is to prove the inferiority of Pentax cameras. For him, every camera maker produces better cameras than Pentax and when a Pentax user confronts him, ET2 pulls out of his shirt pocket the "Pentax Funboy" label that always carries with him. Meanwhile and even tough he has been challenged to provide any evidence that he is actually a real knowledgeable and skilled photographer, he always fails to do so. In my opinion, a disturbed personality seeking for attention. Funny part is that all three of you guys insulted me, you with you calling me "a disturbed personality" but yet you are demanding apologies for Rishi for using (the much milder) word, "fanboy". The hypocrisy at it's best. You should get back to the topic. K1 review wasn't negative. It got 84% (that's pretty high) and a silver award, but the review pointed out that It performed sub par in AF tests (tested over 18 times to address quibbles on the forum), and that's what started the attacks by brand loyalists, who would not tolerate anything critical in a review of pentax gear. I was neutral observer. Don't cry so much. You entered this by saying ""Pentax fanboys") . ' It's called calling a spade, a spade, not name calling". I suppose that's your "neutral observer" position, since you're behaving like this for how many years? Insults? Lies? Insults, again? But it's fine, after all, you agree with DPReview's stuff (for now). Repeating a broken test one thousand times won't get you valid results. Just like watching some silly Flickr statistics won't give you market share data. I never cry. I am enjoying myself and having fun. Why would I cry when I am having so much fun? Funny how you say you aren't a fanboy yet go on to reject the "tests" just because the camera brand you like performed subpar. Other cameras went through the same test and sometimes performed fine (other times not). For K1, the reviewers repeated the test 18 times to address various issues mentioned by people like you, with the same results, and let's also not forget that in side by side comparisons with other cameras, the AF was found to be subpar. You are demanding DPR to not mention any of these factual things about the camera they found that are negative, because it's a pemtax camera, and you you want them to never call you a fanboy? Is that about it? Or is there something else they can also do for you? Personally I'm not demanding any apologies from Rishi. This is something you (as usual) fabricated. As of today and for many years you failed to prove that you are capable of using any photographic gear, even that you are able to take a couple of decent photos. As soon as you prove me wrong, I will apologize to you without any hesitation. At Rishi: that's a pretty agressive way of expressing things. Don't like it at all. I'd argue the 'aggressive way of expressing things' was when numerous Pentax loyals/defenders (sorry, that's what I meant by 'fanboys') immediately called us 'incompetent', out to 'kill Pentax', 'biased', 'paid off by Canon/Nikon', 'Rishi's a 'dyed in the wool Nikon shooter so of course he hates Pentax' (ironic; only shot Nikon 7 months, & now only intermittently), etc. These people would then point to other 'tests' that claimed to have different results to ours, yet either (1) didn't, or (2) tested something different, and/or (3) didn't even provide any data. The best example was quoting thecamerastoreTV- where they actually had many OOF shots even in 0.8MP rescaled images, yet some clung to the 'works pretty well' comment as evidence that we were wrong. Confirmation bias at its best. These very loyalists/defenders have been on a crusade to prove our tests are irrelevant or done wrong, & it continues. Have we done it wrong or are our tests irrelevant for all cameras, or just Pentax? Also, no the camera was not trying to track the foot. For nth time, AF-C single point is just supposed to refocus on whatever's underneath it, it's not doing any subject recognition/tracking. And the reality is, no matter what it was under the point - be it Richard or Sam's face, or the bike frame/Richard's leg, the camera lagged in refocusing. Arguing that the point wasn't placed perfectly over exactly the right feature & kept exactly right there for the entire sequence is nonsensical - no other camera we've ever tested requires this - why should the K-1? You just have to generally keep it over an object in the plane you want focused that has some contrast. There's no object recognition going on. The simplest explanation is that AF can't keep up. Before calling us incompetent & saying we have no idea what we're doing or how to even place the AF point, those looking for any excuse to not have to accept our AF-C results may wish to learn a little more about how AF systems work. What I'm saying is that you should've started by giving the central (selected) AF point a clear target, e.g the cyclist's face. I'd say that IRL you would actually attempt that. If you're testing the camera's ability to track the subject across the part of the frame covered by AF points (! ), then obviously you shouldn't keep the center point on the initial target. IRL you might attempt to follow the subject, though. Note that I'm not calling you incompetent. Also, keep in mind that your tests are (unfortunately) inconsistent and not an industry standard. It's fine if other people are proving the K-1 works, even if they don't replicate 100% what you did for the K-1.